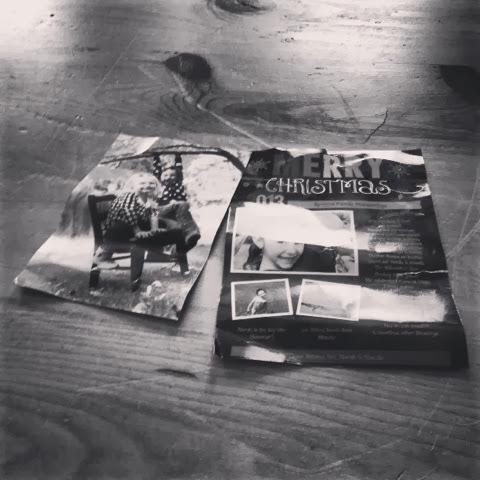 On The Path: Have Yourself a Crumbled Little Christmas. Of all the things to get crunched in the mail, I wish it wasn't the Christmas card from my sister and her family. Especially since it included a great picture of the nieces. When I opened the mailbox at the end if my driveway and saw the disfigured envelope with my sister's handwriting on it, I was less than happy. I wanted to drive into town and scream at someone, anyone at the post office. Even if it was just some unlucky person standing in line to buy stamps. But I calmed down. The Post Office handles millions of pieces of mail. It actually impressive more mail doesn't look like someone made their first attempt at origami with it. The card will eventually be thrown away. The picture of the nieces will be framed and the creases will just give it character. There are more important things that deserve my rage's full attention. A crumbled piece of mail should be a distraction for it.